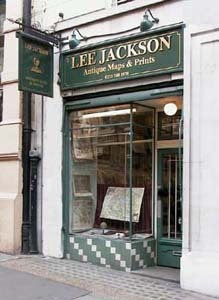 In 1979 Lee Jackson joined his family map-dealing business, founded fifty years ago by Avril Noble, although he has been involved since his schooldays. 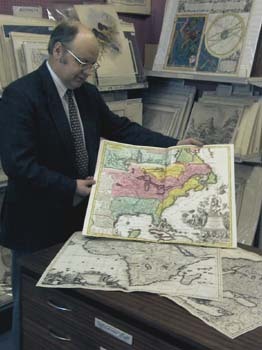 He ran a London map shop, in Southampton Street, Covent Garden, from 1984 to 2001 before closing his premises to concentrate on the internet and antique fairs. However Lee regularly arranges appointments in Central London for old and new customers.